So you’ve come to this page to find out how to fix Apple iPhone 6 6s dead not charging, well you’ve came to the right place. Your issue U2 ic, it is a small component that controls the charge to the battery. This makes it a big problem when something goes wrong with it. The U2 also runs the power to the sleep-wake button and controls the USB functions and regulates the charging to the power IC that charges the phone. This is why when something happens to the U2 IC the phone doesn’t charge properly and can appear to be dead. Another sign of a problem with the U2 is when the phone is put back on charge after a battery replacement. The phone will not boot back to the Apple logo. When the battery has then been depleted and put back on charge, it will stay blank and the original problems will reoccur. Below are some iPhone 6 6s dead not charging problems and how to spot them. The first conclusion many come to is that the Battery or the Dock of the Phone needs replaced, but more often than not the same symptoms reoccur after this Fix. If this is the case then the root of the problem lies with a component on the logic board called the U2 IC. Remember the U2 ICs Job on the logic board? 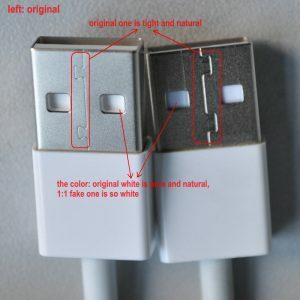 It helped to regulate the charging to the power IC on the phone, Well the original Apple chargers and USB leads also regulate the voltage and current. The cheap chargers from the pound shop don’t do the same job. They don’t regulate the voltage or the current and this damages the U2 IC and to all appearances Kills your phone. That cheap buy from the pound store ends up costing you dearly. Another common cause for U2 IC damage is charging your phone via the cigarette lighter in the car/lorry. 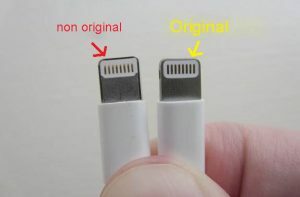 Similar story to the cheap cables; the voltage isn’t regulated properly and can damage the U2 component, unless a proper Apple Car Charger is used. Charge your phone at home or if you need to charge in the car invest in a good quality Apple Genuine inverter with an original charger and USB lead. If you recognise any of the symptoms of U2 IC damage DO NOT try and fix the problem yourself messing with the logic board without the knowledge can result in further damage post your device to us well have you back up and running.